As a woman, I know the many struggles we face each day like depression, separation anxiety and health concerns are just a few of those difficulties that women has to battle. Reading the book What Women Can Do When Life Falls Apart has given me more reassurance that life may be hard at times but is worth fighting for. The book is an easy read with a lot of heart. It contains 174 pages of encouraging words when life seems like it is falling apart and that you are at the end of your rope, there is God who will take care of you and will supply all your needs. 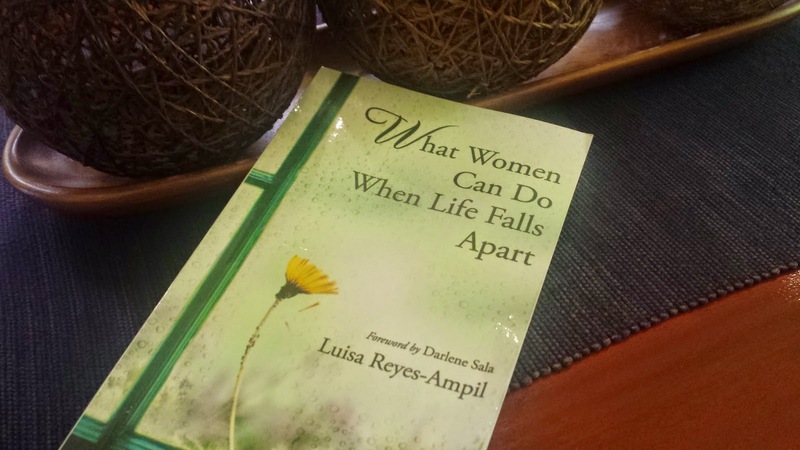 What Women Can Do When Life Falls Apart is an inspirational book, written by Luisa Reyes-Ampil. It is available worldwide in paperback and digital. At OMF Lit, the book is sold at P225.00. I feel that this post is meant for me. send me one please. THANKS for always listening to me.